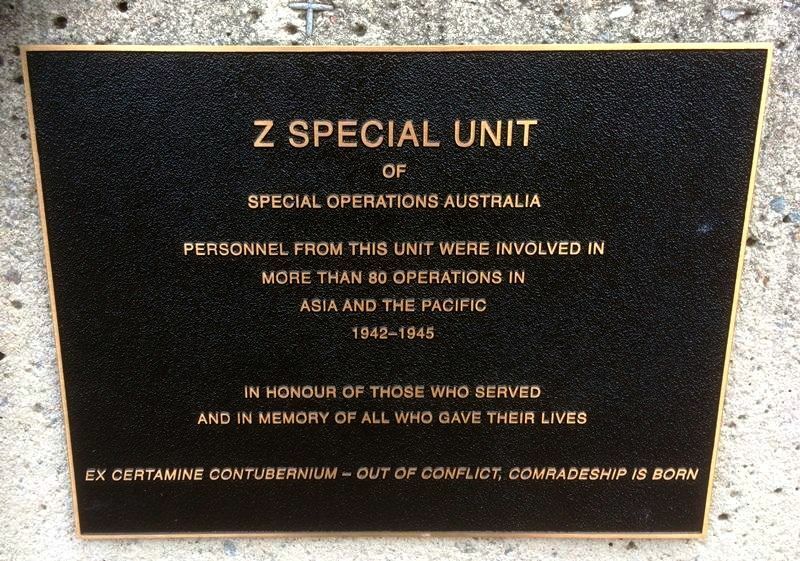 A plaque commemorates the Z Special Unit who were a special group of commandos who served in World War Two. Often known as Z Force, a joint Australian, British and New Zealand Commando Unit, saw action against the Japanese during World War Two. Z Special Unit carried out 284 covert operations in the South West Pacific Theatre. The most well-known of these are, a Kayak Raid on Singapore Harbour called Operation Jaywick and the subsequent Operation Rimau, in which all 23 participants were either killed in action or executed. The MV Krait is a wooden hulled vessel famous for its use during by the Z Special Unit (Z Force) of Australia during the raid against Japanese ships anchored in Singapore Harbour. The raid was known as Operation Jaywick.